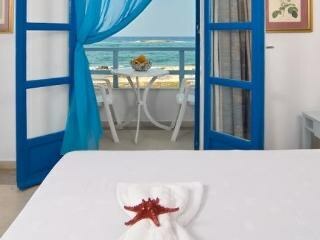 Pyrgos Beach Apartments The 2x000D star rated Pyrgos Beach Apartments is situated in Malia. On site car parking is available. Dining is available at the hotel, which has it's own restaurant. 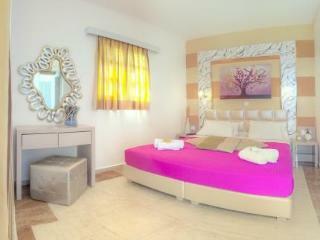 Room Facilities Pyrgos Beach Apartments. Smoking in certain bedrooms is allowed, as well as in public areas of the hotel. Please specify when booking if you require smoking. 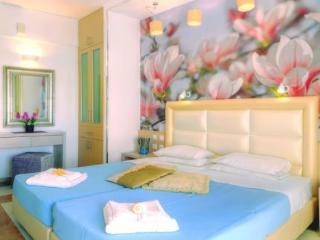 All rooms have tea and coffee making facilities. Leisure Info. 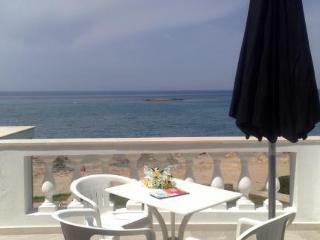 Leisure facilities are available at the Pyrgos Beach Apartments. The hotel has an outdoor swimming pool.